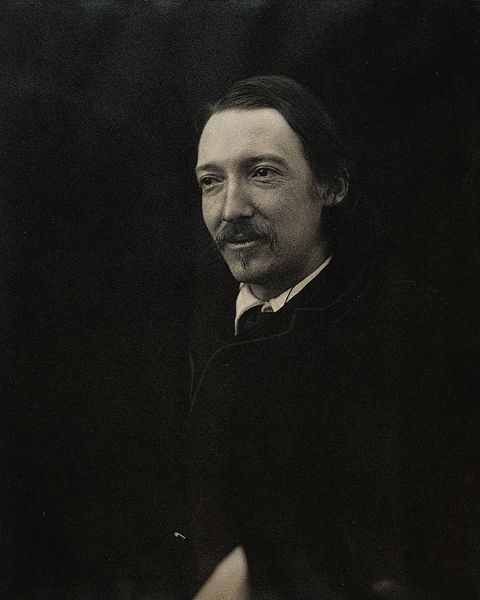 On November 13, 1850, author Robert Louis Stevenson was born in Edinburgh, Scotland. Robert Louis Stevenson was born in Scotland, married in California, wrote about the Caribbean, and died in Samoa. On November 13, 1850, author Robert Louis Stevenson was born in Edinburgh, Scotland. Stevenson became a very famous writer in his own lifetime, and today is one of the most well-known British authors in the world. Stevenson is famous for his travel and adventure stories. His first book, An Inland Voyage, was a record of his own canoe trip on the Oise River, from Belgium to France. Throughout his life, he wrote about his travels in Europe and the United States, and his many years on the island of Samoa in the South Pacific. small, open boat with pointed ends. in mythology, evil or mischievous spirit. structure displaying large, bright lights to warn and help ships navigate coastal waters. to get the better of someone by using intelligence and quick thinking. to sit or rest on a tree branch or other elevated position. process and condition of owning another human being or being owned by another human being. wealth, riches, and other valuable materials. antagonist or evil character in a story.